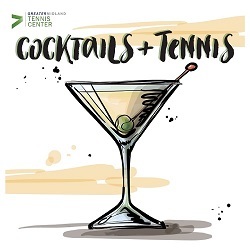 Join us for Cocktails & Tennis! All skill levels are welcome. You will participate in fun drills and games, followed by cocktails and a potluck! The cost is $15|MEMBER & $20|NON-MEMBER!